It’s not often that you have the chance to get up close to a massive wild animal. On our trip to Isla Mujeres, Mexico, we had that opportunity. 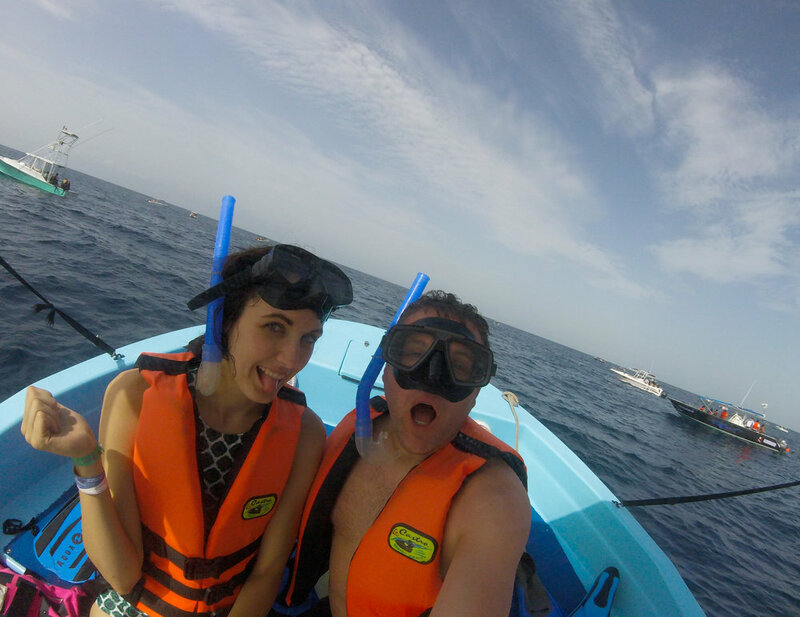 We went swimming with whale sharks in the middle of the ocean. It was thrilling, intimidating and humbling all at the same time. Keep reading for our experience next to these giants. First off, what is a whale shark? It’s not a whale, and it's not a shark. It’s simply a big fish that eats plankton and fish eggs. "Big" is an understatement though. Whale sharks can grow up to 40 ft long and weigh 20 tons. They’re huge! We were in no danger though because they're no threat to humans. Even though we were safe, being so close to the whale sharks definitely increases your heart rate. It's a thrilling experience and it makes you reflect on how tiny you are in the grand scheme of things. Our boat was appropriately named. 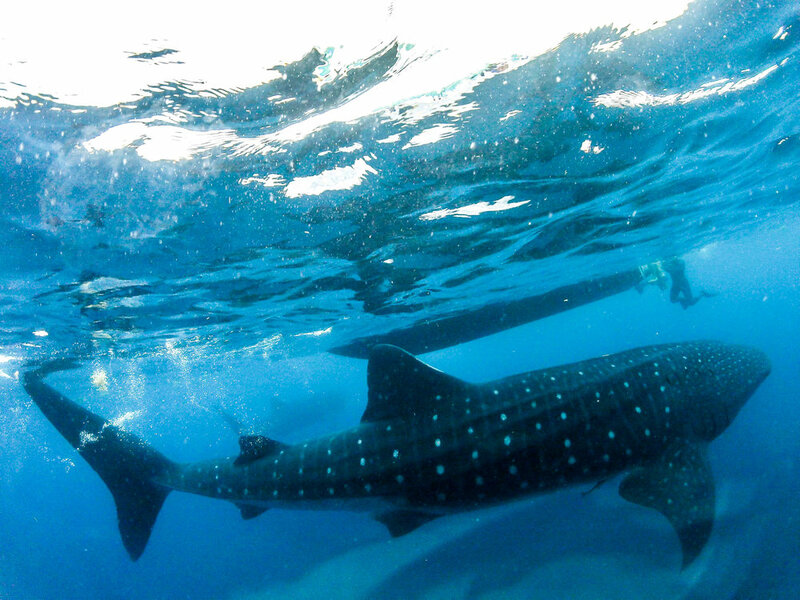 We booked our whale shark excursion online before our trip. There is no shortage of companies to choose from, but not all of these companies are the same. Not every company treats the animals ethically or cares about their preservation. After some research, we settled on Searious Diving. These guys were great, and they really care about the fish. The owner, Ramon, was the best! Our morning started early. We met up with Ramon and our crew for breakfast at 7 am. After that we headed out into the ocean. The ride lasted about an hour and when we arrived, several other boats were already there. We were worried that we wouldn't see very many whale sharks or that there would be too many people in the water. 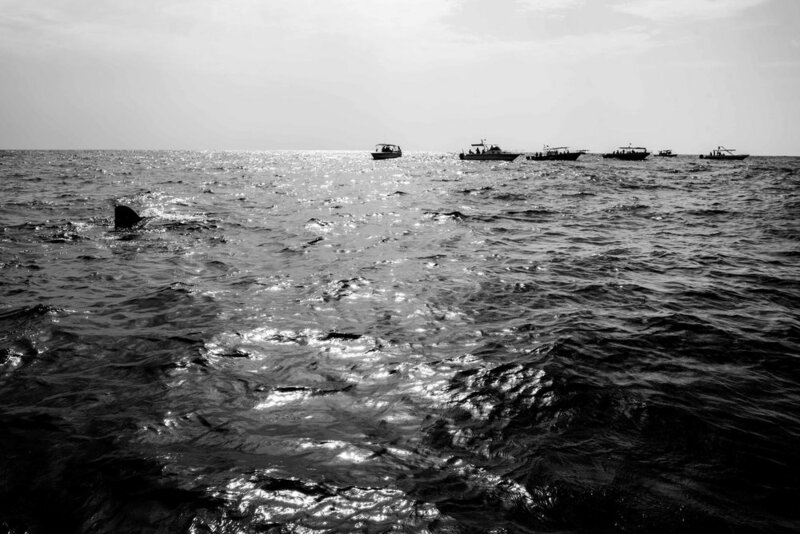 We didn't have to worry though, as there were plenty of fish and most of the boats kept to themselves. There were several tour companies on the water but they mostly kept to themselves. Once we arrived where the whale sharks were, we hopped into the water two at a time, along with our guide. Our first two runs were full of fish. We saw at least 20 different whale sharks in the first hour. We were instructed not to touch them, but at times they would swim so close to us that we had to swim the opposite way to avoid colliding with them. We knew we were safe, but it's incredibly humbling to have one of them swim by you with their mouths wide open. As we got closer to noon, the fish started to thin out. If you go yourself, make sure to book early in the day. The only downside for us was that the equipment didn't really fit us the best. The life jackets were a little too big, and the goggles kept fogging up. We weren't too surprised considering we were using someone else's equipment. It's a small complaint though considering how cool our time in the water was. 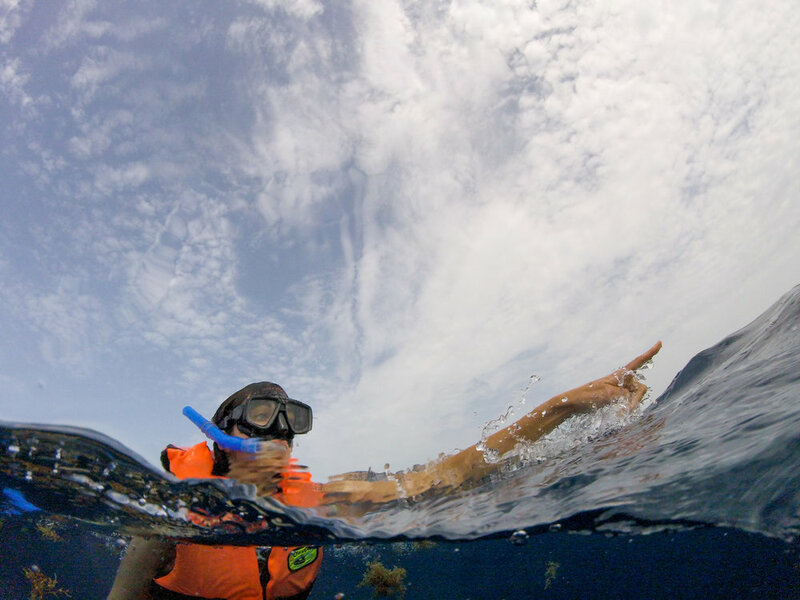 If you snorkel a lot or have your own equipment, consider bringing your gear with you. We had several chances to get close to the whale sharks. After we did four or five runs, we set off back for shore. 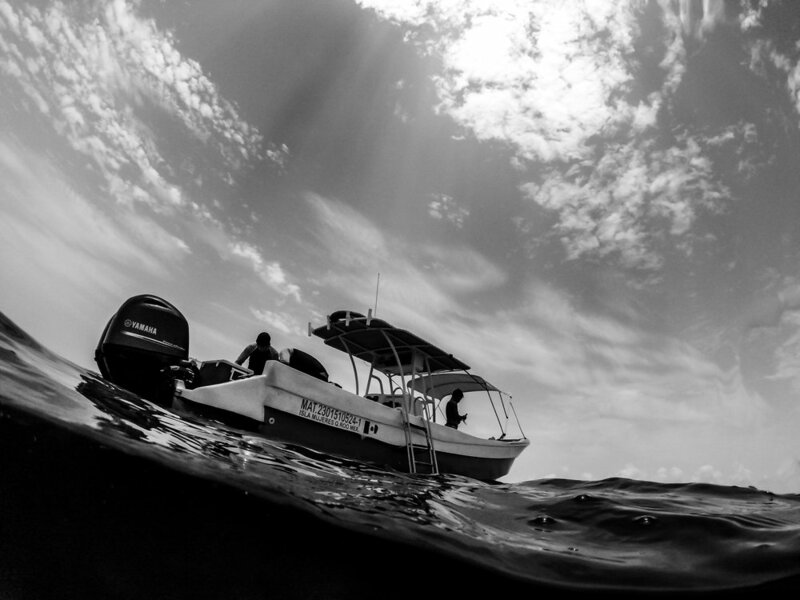 We stopped at a reef about halfway back and snorkeled while our guides made fresh ceviche. It was the best ceviche we had the whole trip by far! We parked the boat at Playa Norte and swam for a bit more before we headed back to the marina. We use a Nikon D750 for most of our photography. 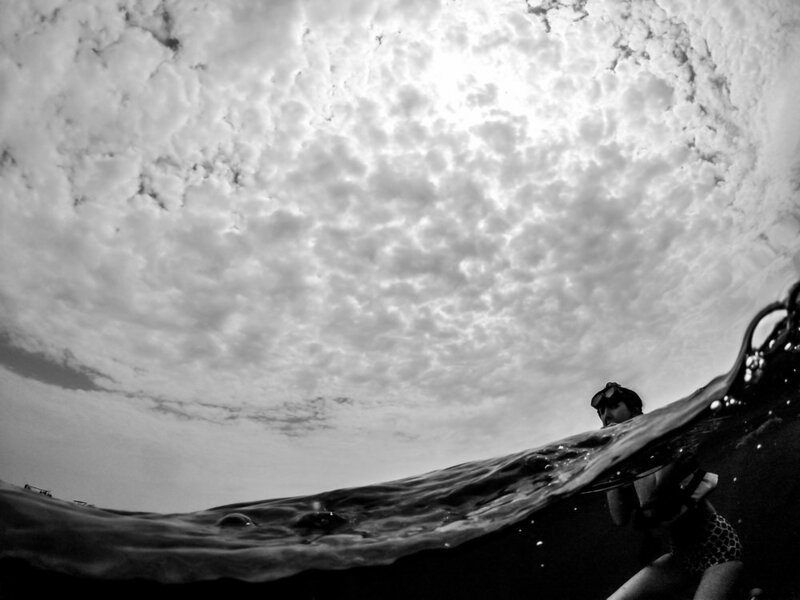 For this blog post though, we shot with a GoPro and an underwater dome. The dome was how we were able to get shots simultaneously under and above the water. In the excitement of playing with a new toy, I actually left the GoPro on the boat. Fortunately, Ramon is the best, and he met me so that I could get the camera back. Thanks, Ramon! 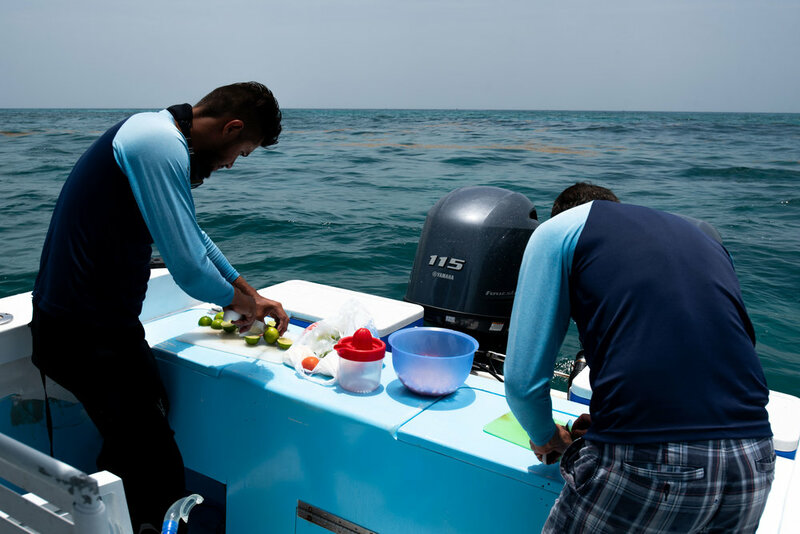 Our guides making us fresh ceviche. Seriously the best ceviche we had the whole trip! 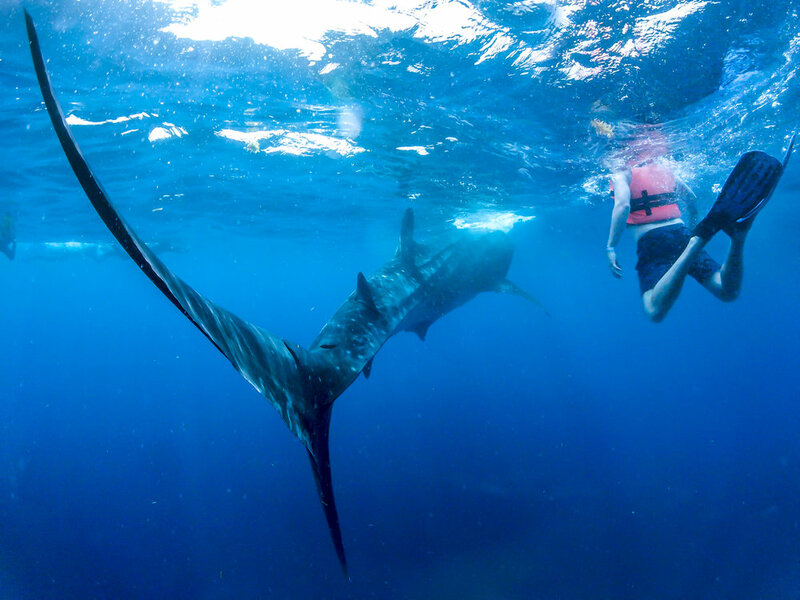 Without a doubt, swimming with whale sharks is one of the coolest things that we've ever done. We had such a great time. If you ever have the opportunity to do a tour like this don't let it pass by. What do you think? 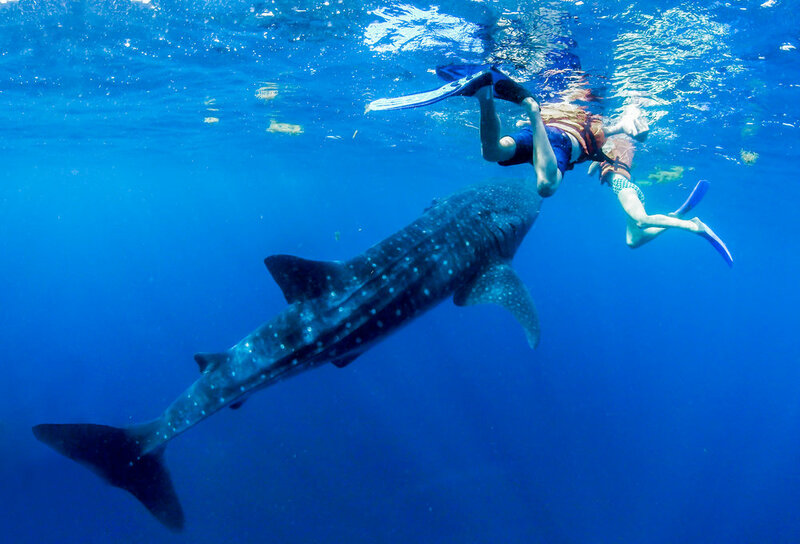 Is swimming with whale sharks something you'd like to do? Answer below in the comments. It's tough not to look dorky in snorkel gear.